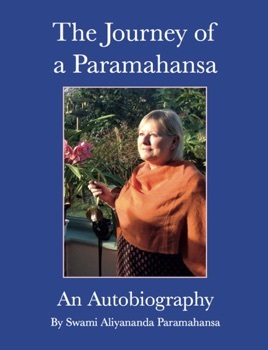 The Journey of a Paramahansa is an extraordinary inspirational account about an extraordinary woman, a devoted wife and mother from Cornwall, who experienced a profound spiritual awakening that resulted in a 12 year search for her Master, ‘the holiest man in the world’, across India and to the Himalayas. Babaji awakened her to her soul through the practice of Kriya Yoga Meditation and when she had become a Self-realised Master, he gave her a World Peace Mission, which was blessed by His Holiness The Dalai Lama in a private audience. 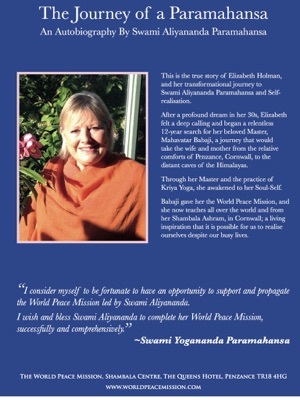 This book is to inspire you to awaken to your soul, to change yourself, change the world and find peace in the heart, peace in the home. Be inspired by your soul!